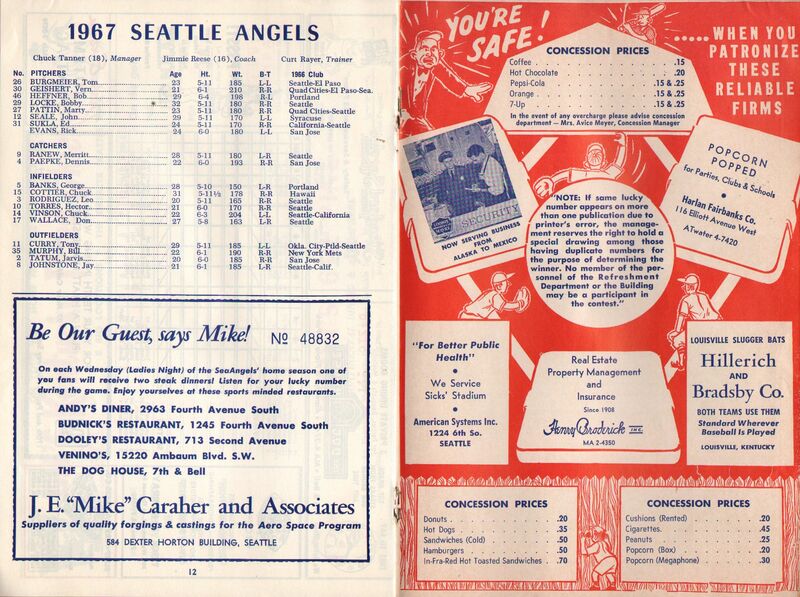 The Double-A Seattle Indians turned into the Triple-A Seattle Rainiers (after the beer not the mountain) then the Seattle Angels. 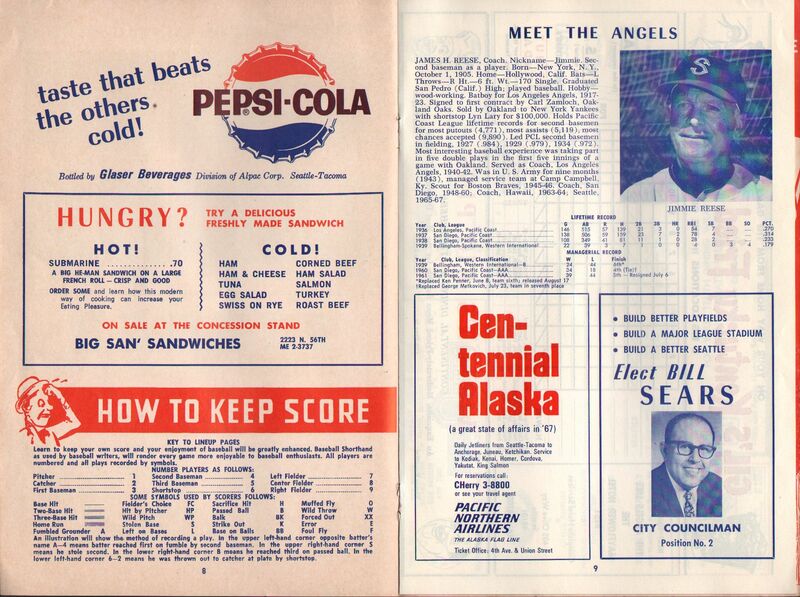 Minor League baseball left seattle when the Pilots showed up in 1969. 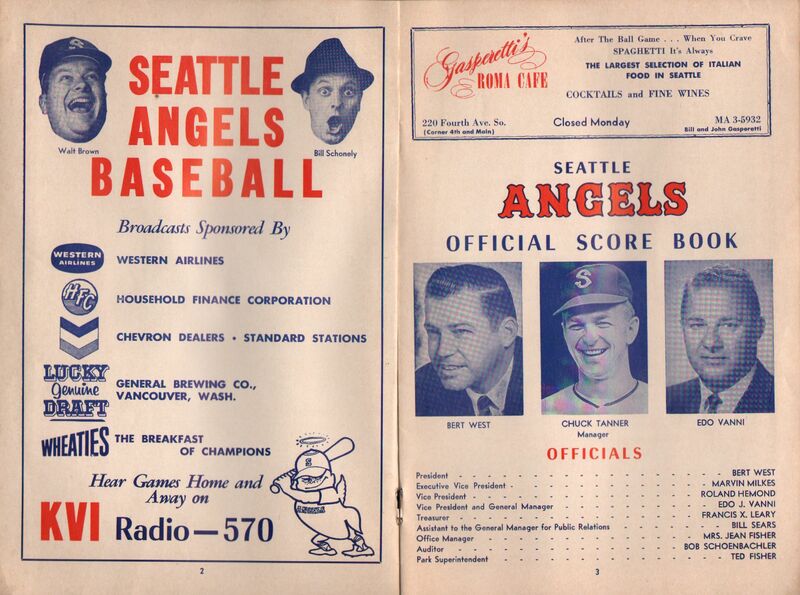 When the Pilots left after their first season to go to Milwaukee (dragging Bill Sears with them), there was a couple of years of no baseball in Seattle. 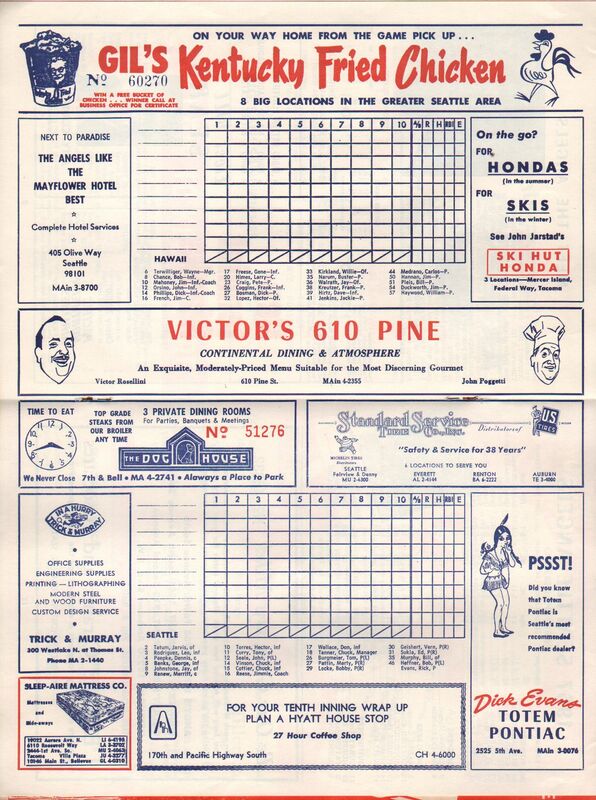 The Class-A Rainiers showed up in 1972 and played here until the Seattle Mariners showed up. 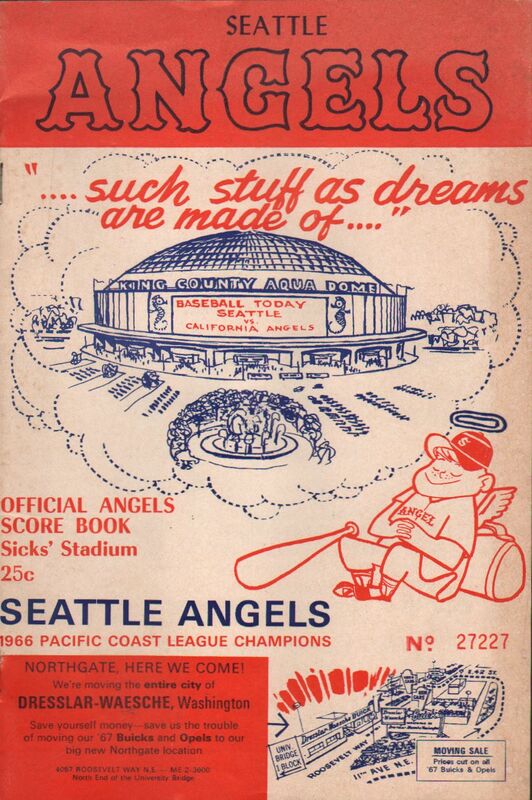 That King County Aqua Dome sure looks suspiciously like the Kingdome. 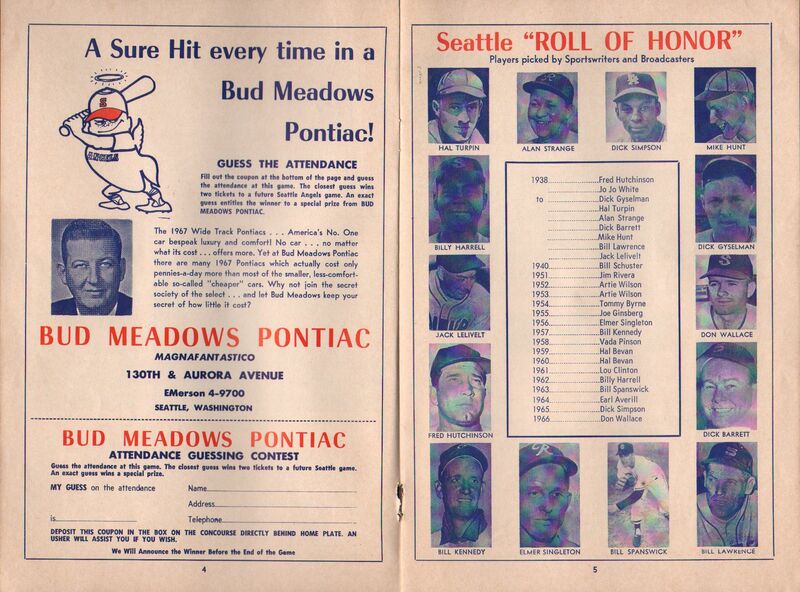 While voters had turned down (yet again) a covered stadium in 1966, they approved what became the Kingdome in 1968 and it opened in 1976. Gasperetti's Roma Cafe. 4th and Main right about where Chinatown became downtown. Ahh.... the 1960s. 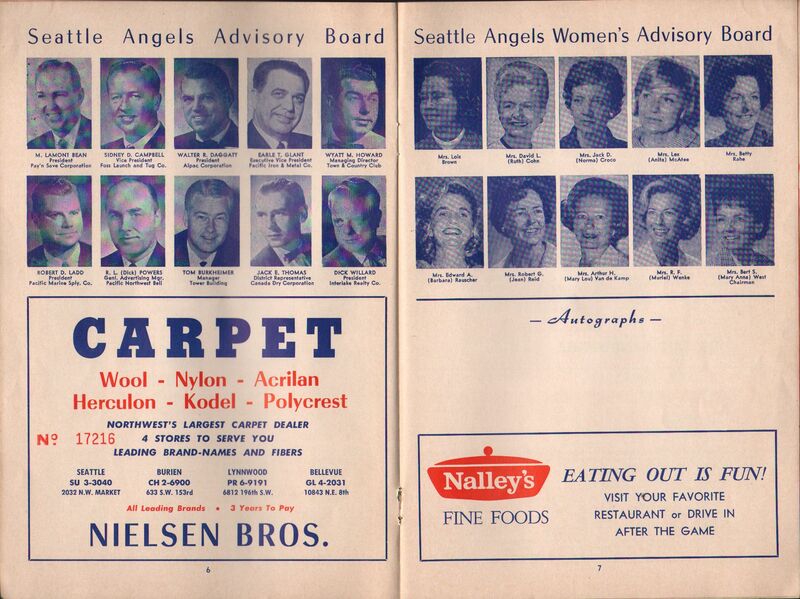 The Seattle Angels Women's Advisory Board were all identified by their husbands' names. And Nalley Fine Foods from when Tacoma's Nalley Valley actually had a Nalley's in it. Big San' Sandwiches was out by the east side of Green Lake in the Woodlawn neighborhood. 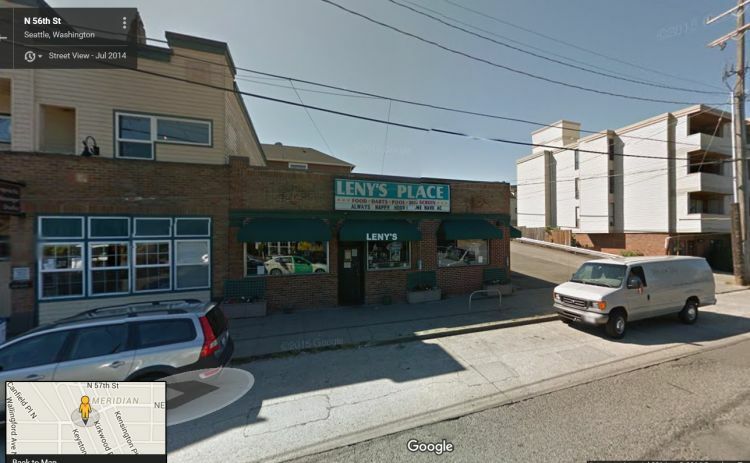 As of the Summer of 2014 when Google Maps last drove by, it was a tavern known as Leny's Place. 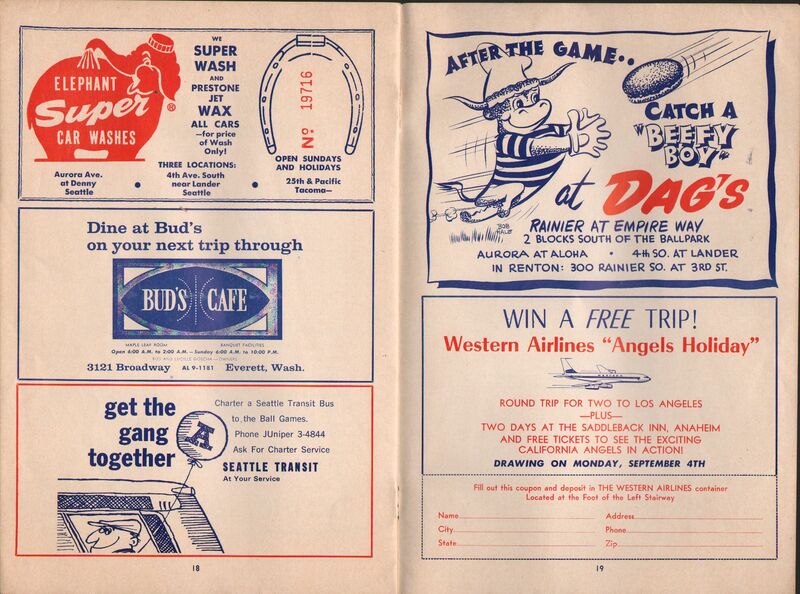 There's everybody's friend Bill Sears who was running for a position on the Seattle City Council. Bill was certainly lucky he met Jack Gordon when he did. .Here's your chance to get in on the ground floor of the Seattle Supersonics. 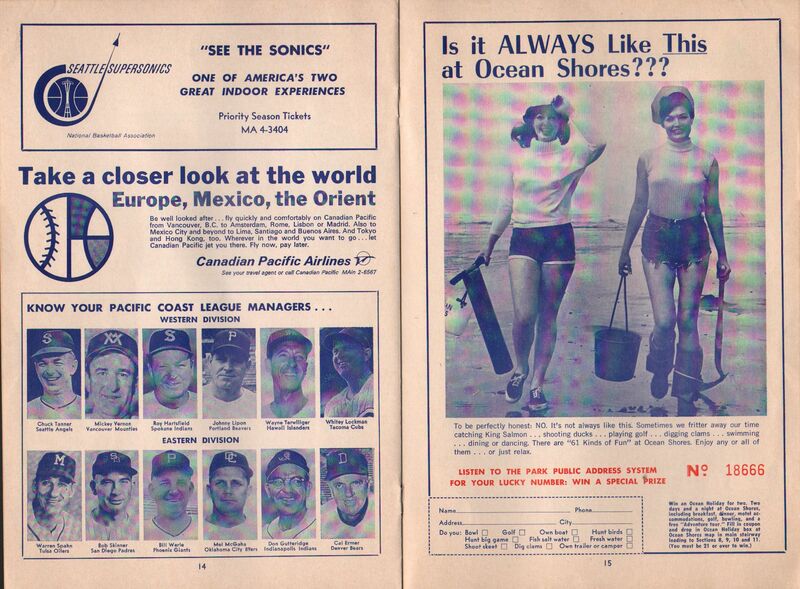 That's an interesting tagline on the advertisement, "One of America's two great indoor experiences". I wonder what the other one is. Their phone number looks like it's now a private (i.e. non-business) number out in West Seattle. I wonder if anyone ever calls and asks about tickets? 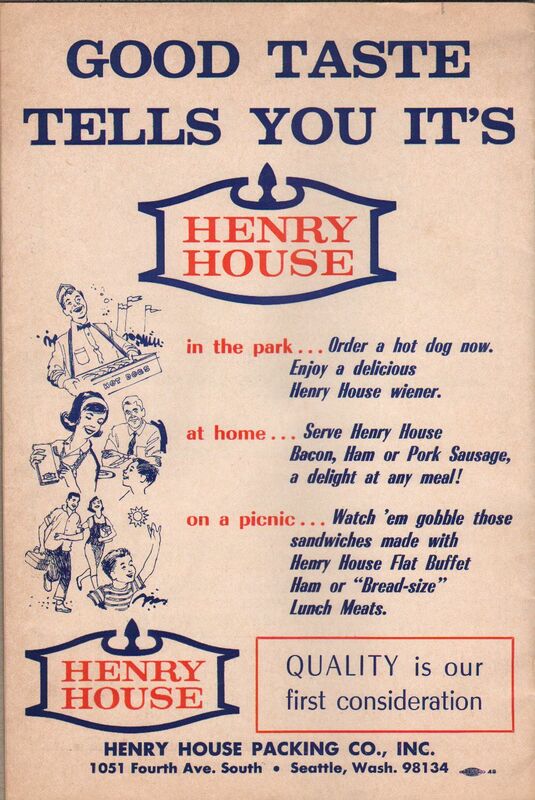 This looks like the "last hurrah" for Henry House. 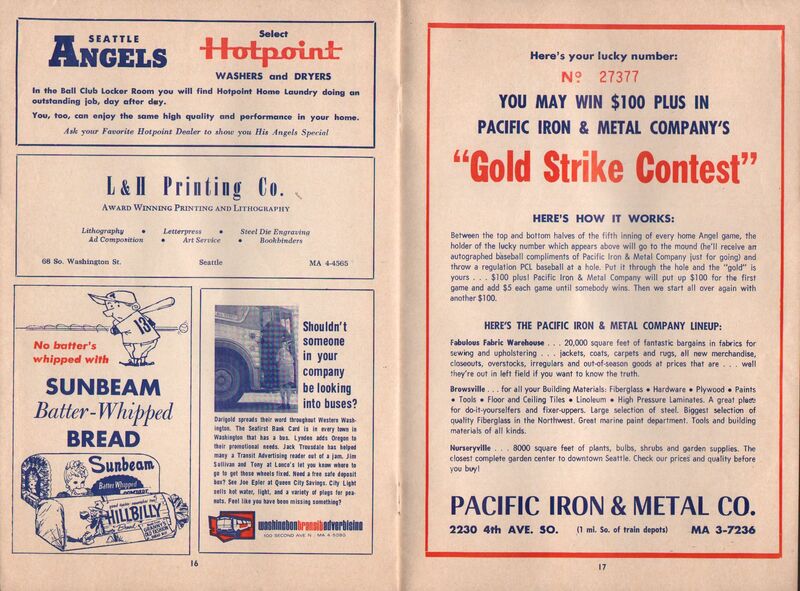 In the summer of 1967, they merged with Seattle's Empire Packing Co. and kept the Henry House name. Something apparently went wrong, because they filed for bankruptcy later that year and were declared bankrupt by the court in early 1968. There appears to still be an Empire Packing in Cincinnati.